In 1999, the state-owned Agricultural Bank of Mongolia, or AgBank (now known as Khan Bank), was in receivership and staring at outright failure. The consequences for Mongolia’s people and economic development would have been severe, because AgBank was the only bank offering significant coverage of the country’s rural hinterland and reaching the bulk of its population. At World Bank’s prompting, the government of Mongolia agreed to attempt to revive the institution, and the U.S. Agency for International Development (USAID) agreed to fund an outside management contract. In 2000, Mongolia’s government hired DAI to restore financial soundness to the bank, bring financial services to the rural population, and prepare the bank for privatization. The turnaround was successful on all fronts. With 500 branches across all of Mongolia and 4,000 employees, Khan Bank is now the nation’s largest bank, serving 80 percent of Mongolian households. The institution was successfully privatized in 2003—with DAI retained in a management capacity—and is perennially named the best bank in Mongolia by leading international finance publications. Most importantly, the bank has opened hundreds of new branches, reaches 98 percent of rural communities, and has massively expanded deposit, loan, and other service offerings to clients, including pensioners, nomadic herders, and small enterprises—all in a profitable and sustainable manner. For the price of a two-year, $2.5 million management contract, USAID turned a worthless bank into a $125 million enterprise that has become fundamental to Mongolia’s economic and social infrastructure. Provide senior managers to the bank: J. Peter Morrow, CEO, who was also a member of the Board of Directors, and Ben Turnbull, Deputy CEO. Extend a line of credit to the government and implement other modifications so the government could reliably and quickly meet its payment requirements to pensioners. Direct the launch of consumer financial services to better respond to the needs of the Mongolian people, including direct deposits and targeted lending programs during times when household expenses spike (Lunar New Year and the start of the school year). The bank returned to profitability within six months of DAI taking over its management. Reforms paved the way for the bank’s privatization in 2003, when it was renamed Khan Bank. The new, foreign owners kept DAI as its manager. From 2003 to 2006, the European Bank for Reconstruction and Development contracted DAI to review the design of Ag Bank’s existing lending operations to incorporate new loan products and procedures. Additionally, credit application analysis, disbursement procedures, credit monitoring, and repayment enforcement were reviewed and improved to implement the new loan products. The bank expanded from 269 locations in 2000 to more than 500 today, vastly increasing the number of people it serves. 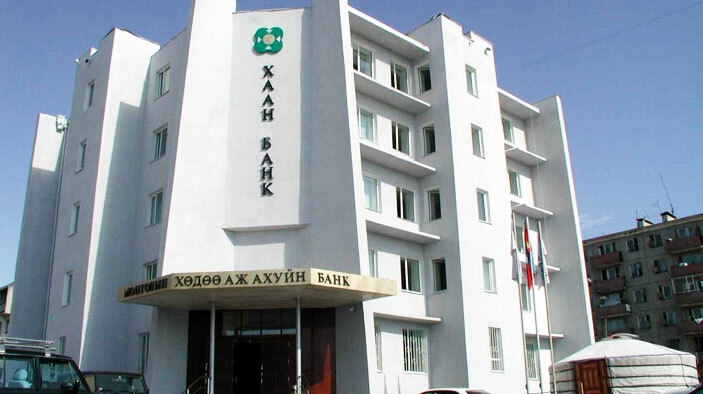 By 2007, Khan Bank was the largest Mongolian bank by assets, loans, deposits and earnings. Today, the bank is one of the country’s largest taxpayers.